Getting your house keys soon, but not sure where to even start? 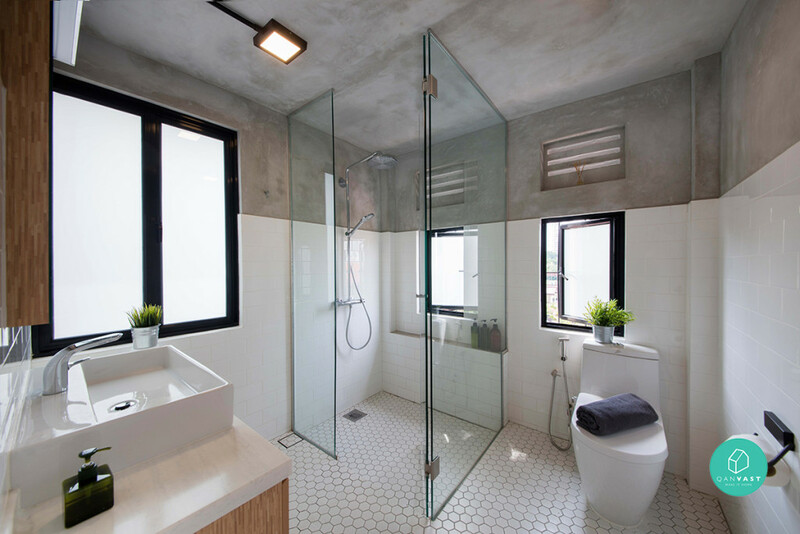 Here’s a basic guide to the renovation process and important things you should look out for. Now that you’ve got your Pinterest boards ready, how much should you budget for your dream home? 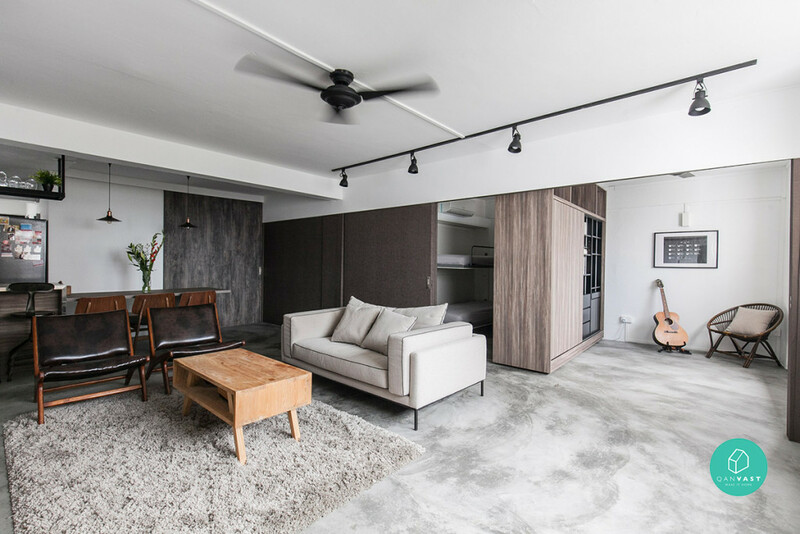 It really depends on the size of your house and how much work it needs, but renovation charges usually range from $50,000 to $80,000 for Resale flats, and between $30,000 to $50,000 for BTO flats. Interior design fees are usually included in the budget, but some interior designers charge a design fee of about $3000 to $5000 (depending on the size of the house). Okay, I’ve saved up enough money. Now where do I even start? 1. Remember those Pinterest boards? Go back to them and decide on a design theme for your home. Need some inspiration? 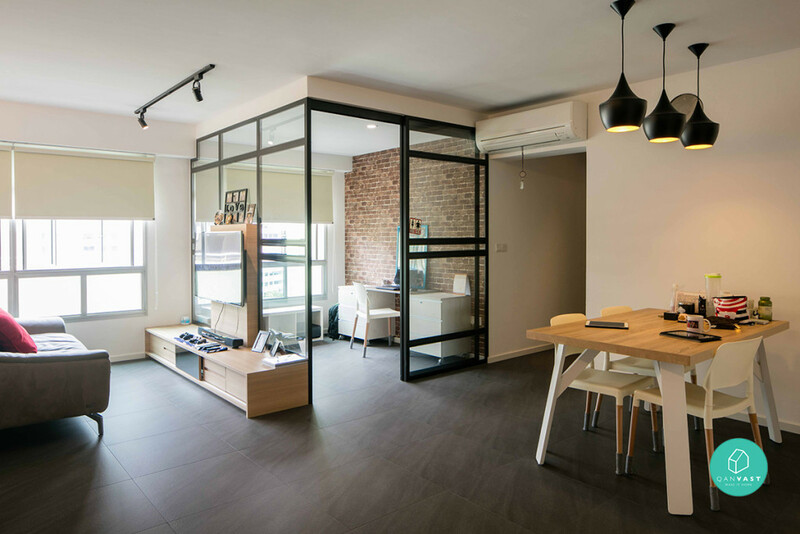 See here for some popular interior design themes in Singapore. It’s also a good idea to save photos of specific concepts you like (i.e. a white brick wall in the kitchen), so you can show your interior designer the exact look you’re going for. 2. Once you’re pretty much settled on a design theme, it’s time to look for interior designers. 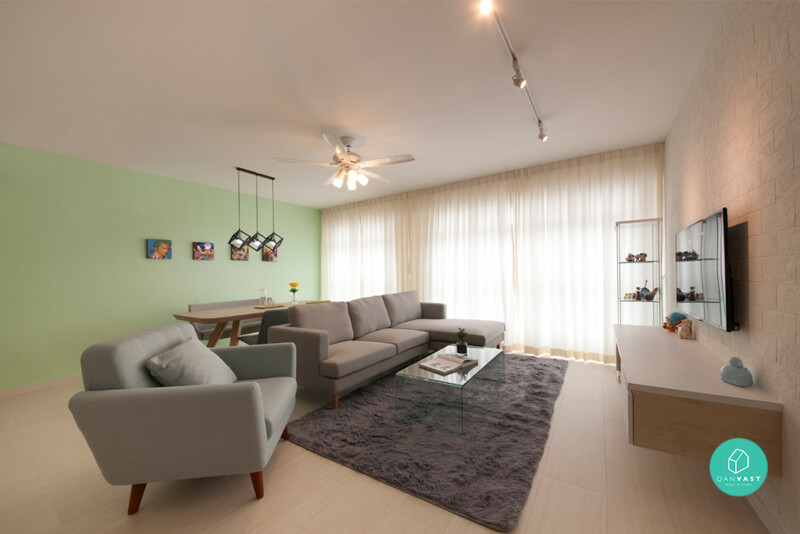 If you don’t have any in mind, try using the Qanvast app to search for interior designers in Singapore. The app lets you view a company’s previous interior design projects, read customer reviews and request for a quote – so it makes things much easier when narrowing your selection. 3. Finalise a list of at least 3 interior designer options, then meet with all of them to see which one best suits your budget, design theme and work style. Don’t forget to bring your floor plan along for the meeting. 4. Once you’ve settled on an interior design company, it’s time to get started on the renovation process. Always insist on documenting your design requirements in black and white, in case there are any misunderstandings along the way. 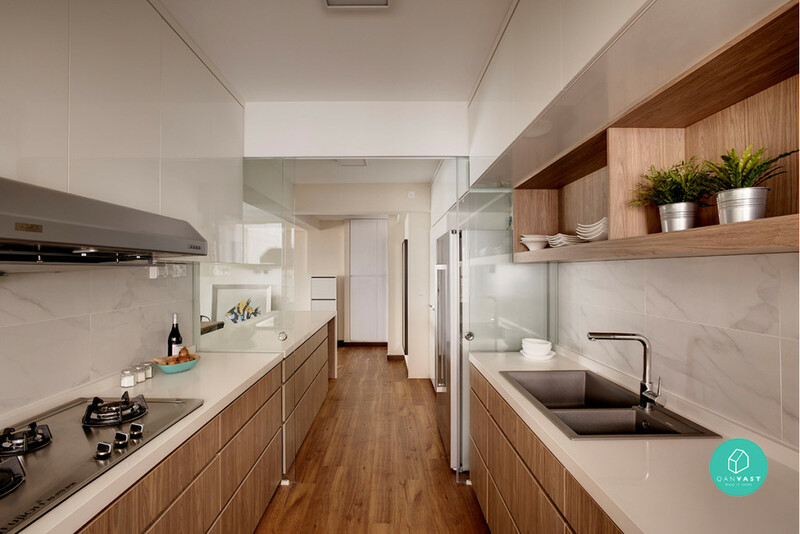 Also, you might want to get the specific measurements for areas allocated to major furniture or appliances (i.e. fridge), so that you’ll have a better idea when shopping for your new home. 5. Lastly, don’t forget to check the renovation site regularly so you can rectify any problems immediately. Wow, that sounds like a lot of work. How long does the design process usually take? It really depends on the interior design company and how busy they are, but it usually takes about 2 to 4 weeks to complete the design process. Peak periods such as Chinese New Year (when most offices are closed) or end of the year may cause some delays though. How long does the actual renovation process usually take? BTO flats usually take about 8 to 10 weeks (if there are no delays!) and Resale flats take about 12 to 14 weeks. A delay of about 1 to 2 weeks is quite common though, as there may be hiccups during the renovation process. After you’ve moved into your new home, you may need a few more weeks for rectification works as well. Got it, sounds like a piece of cake. Right? Most renovation packages usually only provide basic renovation work, so you might incur additional charges for changes or extra work. This is especially so if you encounter contractors or interior designers who are not willing to compromise – so always do your research and read reviews before settling on your final choice. Also, to avoid any last minute changes to the design plan, make sure you have all the right measurements before buying your main furniture and appliances. Sure, it takes more effort, but it’ll save you a lot of trouble in the long run. Lastly, always leave some leeway in your budget for unexpected additional charges. Some materials may end up costing more than expected, so the original budget may not be enough. Which means…you might not get your Pinterest-worthy white brick-tiled wall after all (cue gasp). 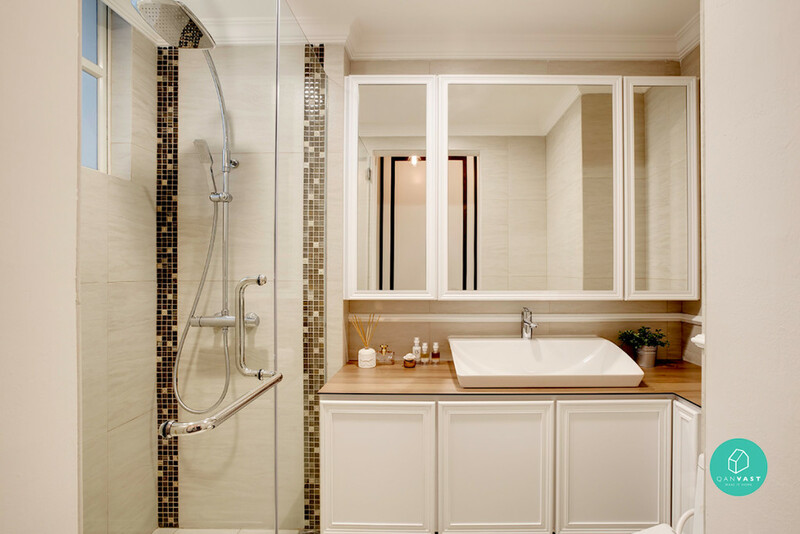 There’s a chance that some popular materials might not be available during your renovation process, so be prepared to compromise – or spend more. Just kidding. But you might. Some homeowners may have unrealistic budgets or timelines, which may cause friction between both parties. To prevent this, work with a contractor or interior designer that you can trust and communicate with – they should ideally be flexible (i.e. willing to rectify or mediate renovation issues), transparent and upfront with their costing, and understand your design brief well. It also doesn’t hurt to do your own background research beforehand, to ensure that the price and timeline you’re getting is reasonable. 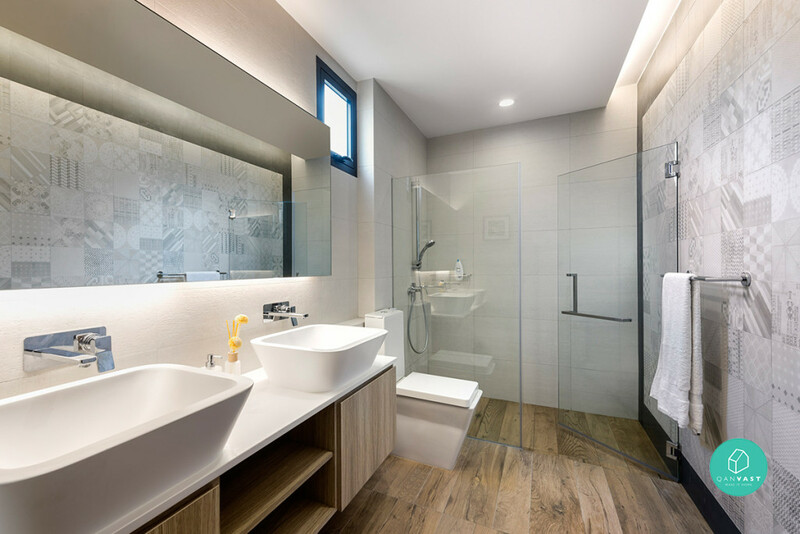 Another common problem is a lack of updates on the renovation process, which is why you should always have a clear communication channel with your interior designer. Most interior designers will usually set up a WhatsApp group to keep everyone involved updated. Any important nitty gritty details all homeowners should know about? Because you don’t want to build your perfect bedroom, only to realise that the nearest power point is too far away from your bed. I mean, how are you going to stream your Korean dramas in bed right? 2. Plan water points for appliances that require water supply. Such as your washing machine or fridge (if it’s the kind with a built-in water dispenser). 3. Get your PUB/SP services up and running just before renovation work commences. Even if you’re not living there yet, the people working on your home still have to use the loo at some point right? Unless you want them peeing on your future floor/hating your inconsiderate guts, then yeah. 4. Schedule your home delivery items (such as furniture or major appliances) to arrive when your renovation is almost complete. This is one instance where you shouldn’t be a kan cheong spider and schedule your furniture delivery way ahead of time. If the furniture arrives too early, it runs the risk of getting damaged or stolen. Most of the time, contractors or workers are way too busy with their work to even realise (or care) if any of your items have gone missing. 5. Always check for defects before moving in. For instance, make sure that all the tiles are properly aligned. Also, check for water stains and peeled paint, which are usually a sign of water leakage. 6. Apply for your car park permit. If you drive a car, you might want to apply for a car park permit early so that the moving process will be much easier for you. 7. Butter up your neighbours. The last thing anyone wants on a relaxing Saturday morning is the sound of drills and contractors going in and out of the house next door. Before you start your renovation, talk to your neighbours and let them know roughly what to expect (and for how long). They’ll appreciate the information and might even keep an eye on your home while you’re not there. Any tips or tricks to help new homeowners save money, time or trouble? To save money: See here for some Renovation Budget Hacks. To save time: Streamline your design ideas/inspiration and follow your selected theme closely. Also, try to do things concurrently – such as looking for ideas and inspiration while shopping for your furniture. To save trouble: Getting an interior designer may cost more, but it will save you the trouble of having to manage the renovation work on your own. Also, always have a contingent fund to accommodate any changes or hiccups that may occur along the way. Lastly, always do your research beforehand so that you know what you want and what to expect during the renovation process. This article is done in collaboration with Qanvast, a trusted platform that connects homeowners and home professionals. Discover over 10,000+ home inspiration ideas, with a break down on renovation cost. 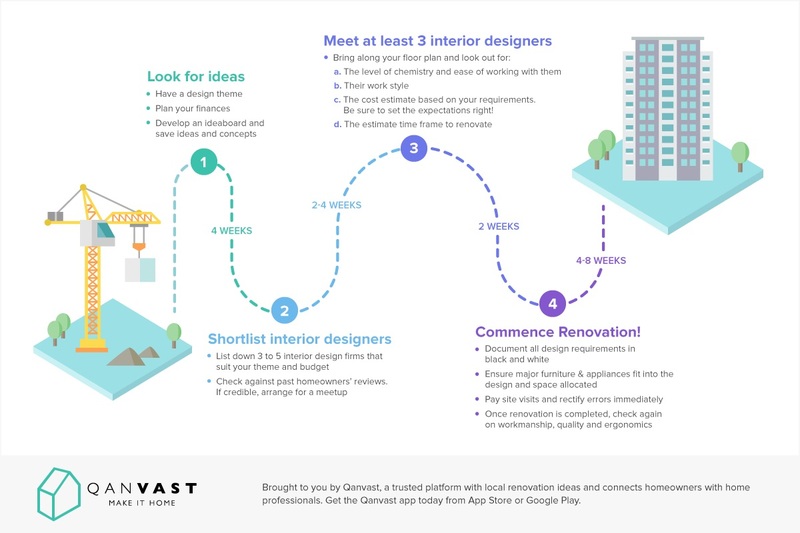 Simplify your renovation journey by downloading the Qanvast app (available on iOS or Android). Great post, Genna. These are great tips to keep in mind. I’m going to try them out with my home remodeling project. You really helped me a lot, thanks for sharing! Thanks for the great tips Genna. I will definitely keep these in mind for when im remodeling. Great article Genna, ive used qanvast in the past too for advertising. Thanks for collating such a useful article! This is a very good article. When renovating there is always an unexpected thing will happen, that’s why you always need a reserved budget for it. Great article. It is really very useful tips to remember and also very helpful. Thanks for sharing. Thanks for the informative article Genna. I never realized the design companies require atleast two weeks for a design! I’ll need to change some plans around and notify my contractor we won’t have the plans for quite a while! Lots of good information here, thanks for sharing! Thanks! 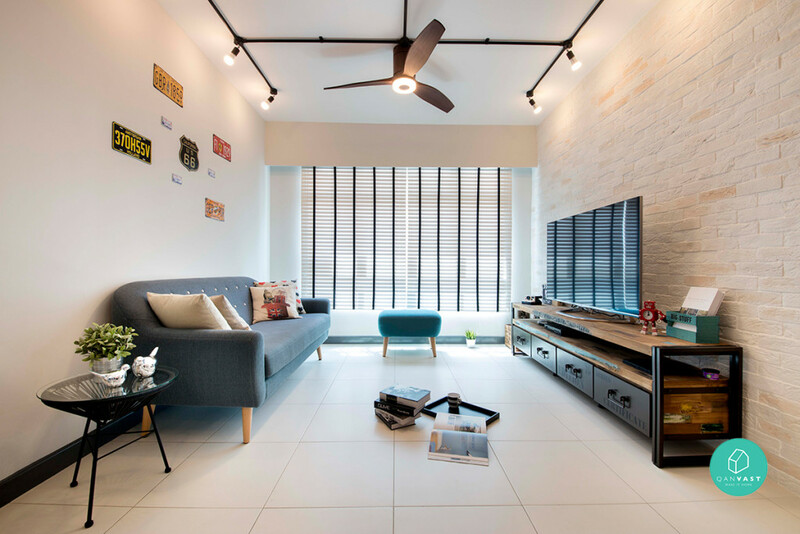 Where I can find the reliable contractors in Paya Lebar area?